Bull trout tend to be olive green to bronze in color with yellow or orange spots on their backs. 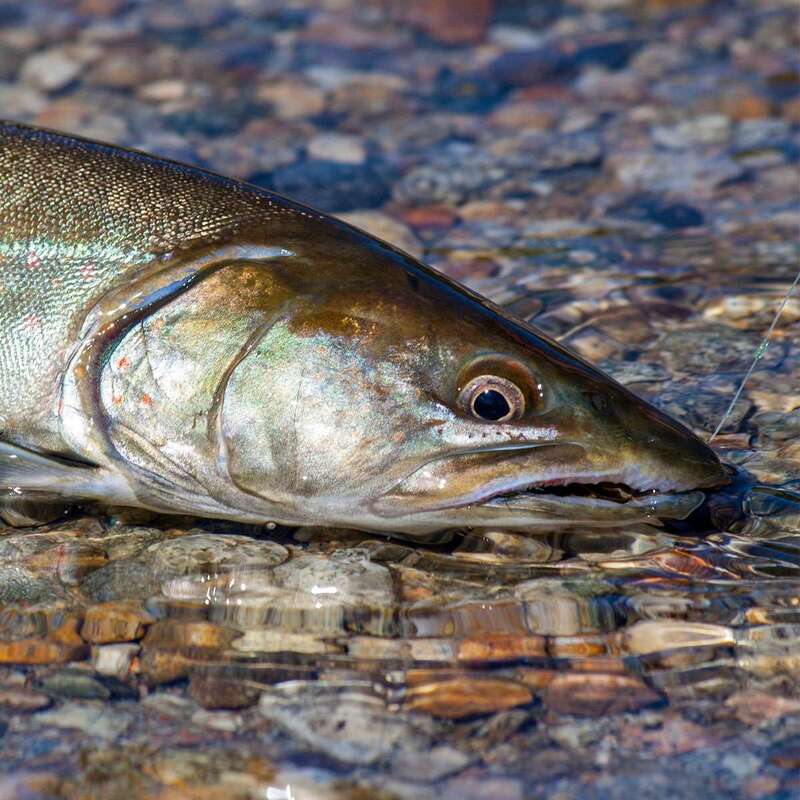 Resident bull trout spend their entire lives in the same stream while migratory bull trout move between larger bodies of water in the winter and smaller waters to reproduce in the spring. Bull trout primarily eat other fish. Bull trout live in cold water and generally need temperatures under 60º F to survive. They prefer streams with deep pools, overhanging banks and large woody debris, clear channels that allow them to migrate between winter and spring habitat, and clean gravel for spawning. Historically, the bull trout lived across the western United States, as far north as Alaska, south into California and east into Montana. Today, the bull trout is primarily in Washington, Oregon and Idaho, with some populations edging into Montana and Nevada. The introduction of nonnative lake trout and northern pike increased the competition for food and the threat of predation to the bull trout population. In addition, bull trout can sometimes end up as bycatch, accidentally caught by fishing activities in their habitat. Glacier National Park provides important habitat in the bull trout recovery plan. 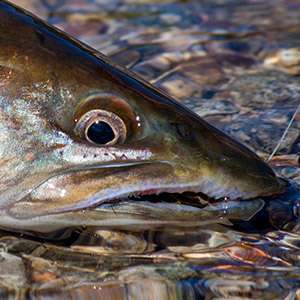 A key part of that plan is ensuring lakes with bull trout populations remain free of lake trout and other nonnative species, either by maintaining natural barriers or creating artificial barriers. Park staff are also encouraging anglers to remove nonnative fish and educating visitors on how and why to protect native bull trout populations. Take action to protect Glacier National Park.